Law enforcement vehicles in hot pursuit traditionally involve sirens and loud, straining engines. When you hear a siren without the roar of piston-driven engines now, however, watch the road carefully because in a few seconds you might be in the middle of the fastest, quietest police chase you could imagine. 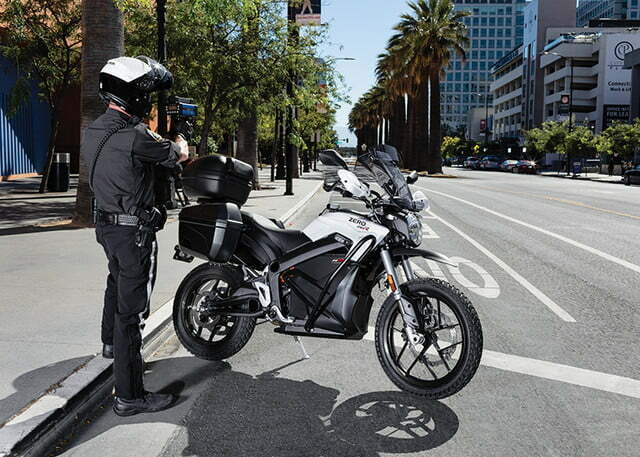 Zero Motorcycles, the electric two-wheeler company, posted a photo from a “Bay Area police customer” on the company’s Facebook page. 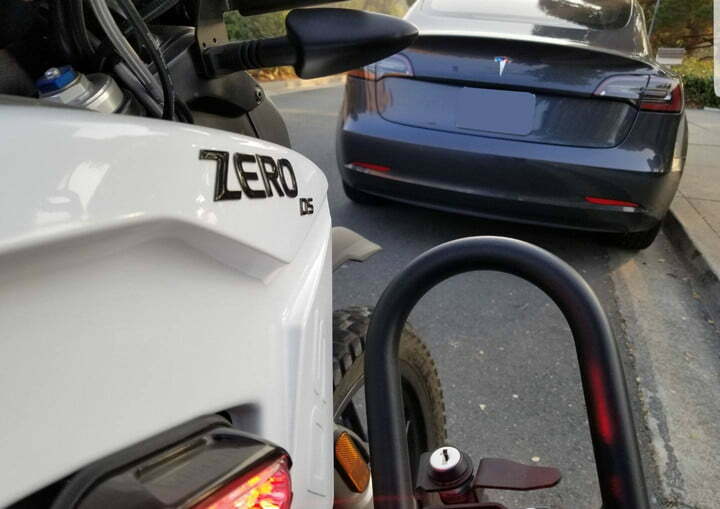 As Electrek pointed out, the photo depicts a “comical twist of fate.” The fast but silent Zero DS police edition motorcycle pulled over an also silent and fast Telsa Model 3. 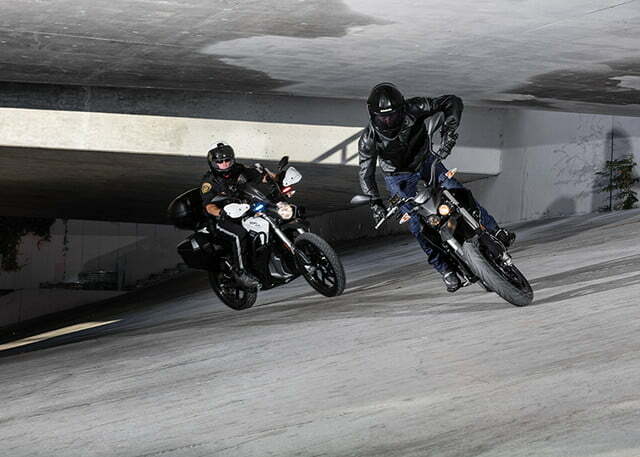 Zero Motorcycles sells police fleet editions of its Zero FX and Zero DSR motorcycles. 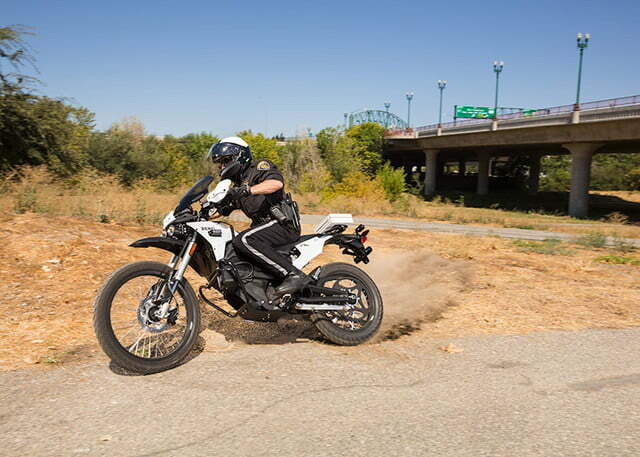 In addition to being almost totally silent and extremely fast, Zero’s electric motorcycles require no drivetrain maintenance and fuel costs are a fraction of gas-powered motorcycles, both big pluses for police department budgets. 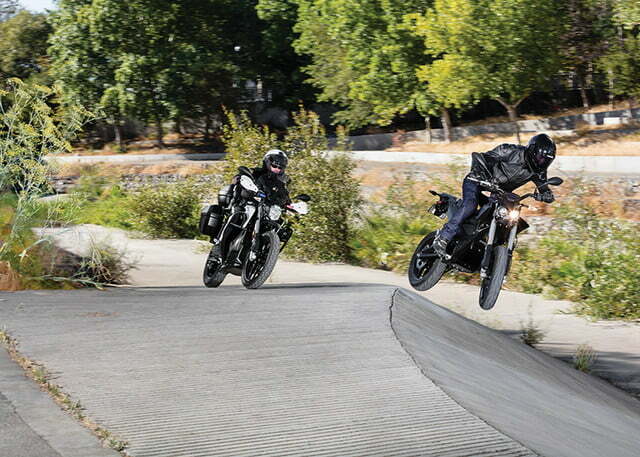 The police edition Zero motorcycles accelerate instantly from idle, are highly maneuverable due to their light weight, and can even be driven inside — like in shopping malls. 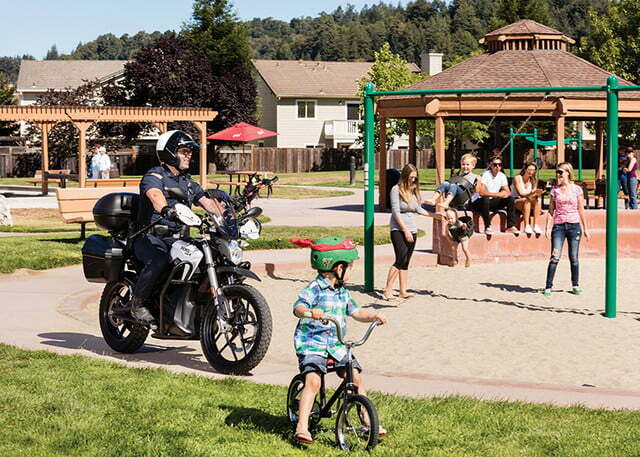 The bikes can be configured for street and trail applications for city patrols, parks and running paths, event safety, stealth patrols, parades and more. 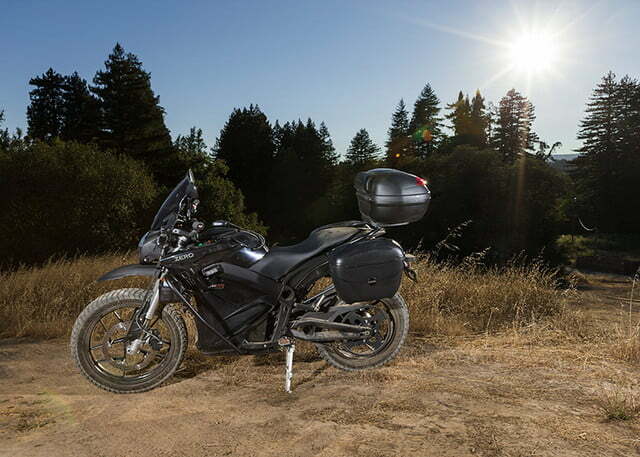 In addition to reducing the cost of maintaining and fueling petrol-powered rides, the Zero police motorcycles cut noise and eliminate emissions, gas and oil spills, and burn and fire risks. 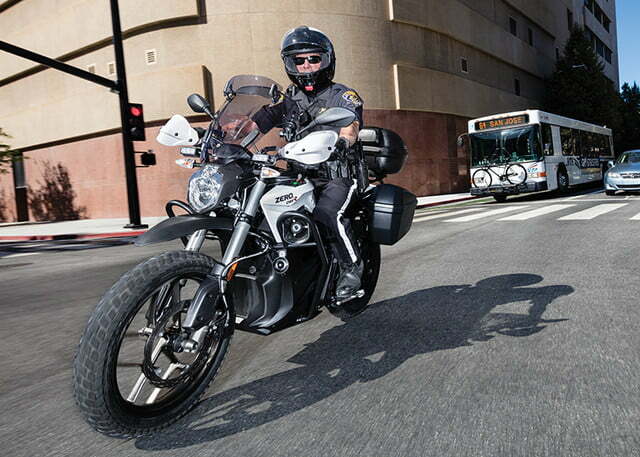 The same fundamental arguments in favor of electric motorcycles for law enforcement duty also apply to electric cars and SUVs, particularly the cost reductions in maintenance and fuel. 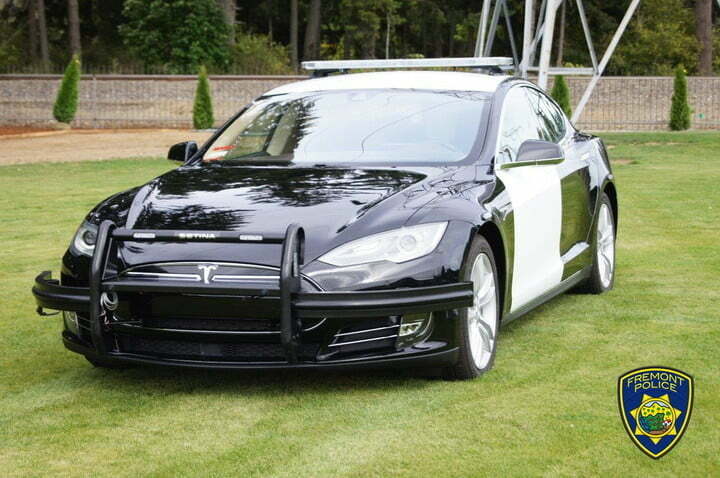 Last year police in Basel-Stadt, Switzerland decided to replace diesel-powered vehicles with Tesla Model X police cars. 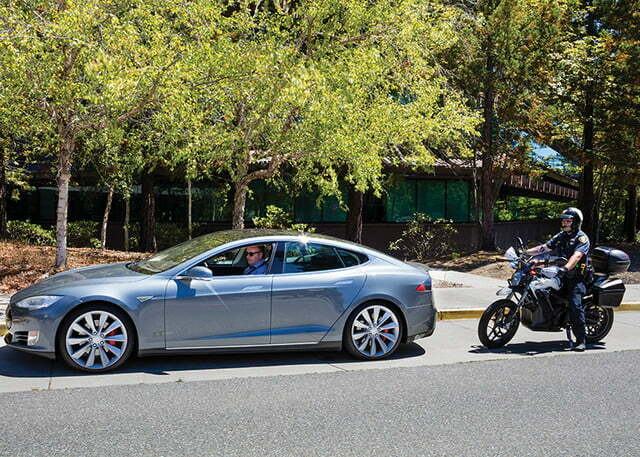 More recently, and closer to home, the Fremont Police Department — the same city where Tesla’s factory manufactures the Model 3 — refitted a used 2014 Tesla Model S to join the department fleet in a pilot program. The Fremont PD pilot goals include determining real-world durability, range, performance, and costs.